California's water managers appear to have violated state law when they hired a consultant to help plan Gov. Jerry Brown's $16 billion project to build two massive water tunnels, state auditors said Thursday. The audit also faulted the state Department of Water Resources for not finishing a cost-benefit analysis as the price of the tunnels climbs. The audit is the latest blow to Brown's plan to build twin tunnels east of San Francisco to deliver water from the Sacramento River mostly to farms and cities hundreds of miles away in central and Southern California. Last month, the nation's largest supplier of irrigation water to farms voted not to help fund the project. The unexpected complexity of the project has resulted in significant delays and cost increases, auditors said. As of June, planning costs alone had reached $280 million, double the department's initial 2009 cost estimate. The costs included nearly $14 million to Hallmark Group, a Sacramento-based company that the audit says "does not appear to possess the technical credentials or experience on relevant projects." The audit "found that DWR did not follow state law when it replaced the program manager," and that the department needed to seek competitive bids or at least demonstrate that Hallmark was qualified. An email from an unnamed department whistleblower that was cited in the audit said, "No allowing other firms to apply for the work, no following the code." Brown's office referred a request for comment to the Department of Water Resources. "We must respectfully disagree" that state law wasn't followed, the department said in its response. Hallmark's primary goal was cost-control, where it has done an outstanding job, officials wrote. The department and the Hallmark Group both said auditors misunderstood the firm's role in the project by assuming Hallmark was primarily doing construction project management that requires a licensed engineer or general contractor. 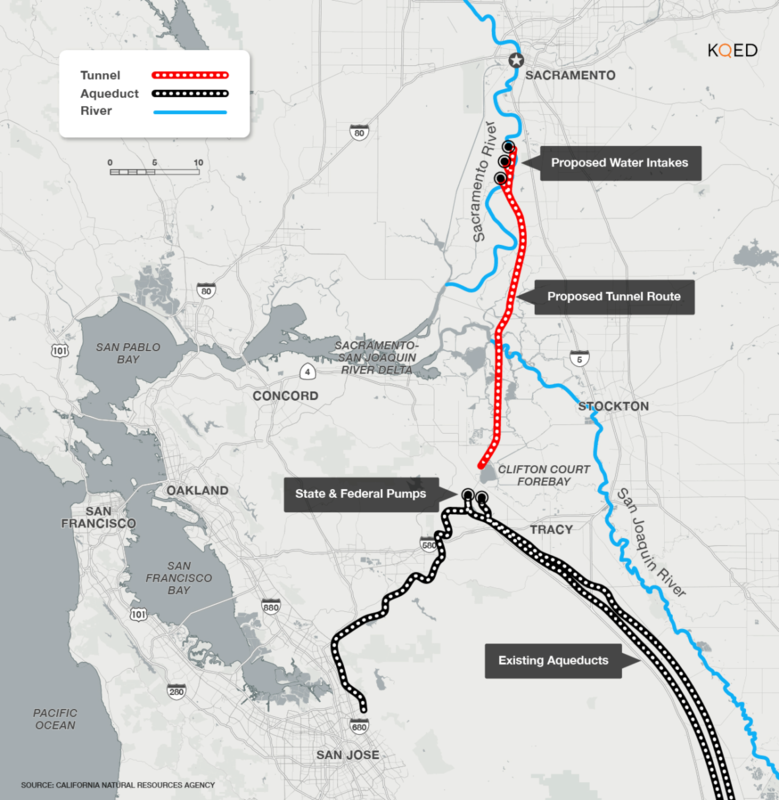 The two, 35-mile (56-kilometer) tunnels would be the state's most ambitious water project in more than a half-century and would reconfigure the way water flows from Northern California to the southern system of canals and reservoirs managed by state and federal officials. The water is used by much of the nation's most populous state while allowing California to lead the nation in agricultural production. Barbara Barrigan-Parrilla, executive director of the opposition group Restore the Delta, said in a statement that the state audit and a federal audit show poor planning and a misuse of taxpayer money, arguing that the project "is in complete disarray." The group's policy analyst, Tim Stroshane, added that the state audit showed the department used "sweetheart deals" to hire contractors. Department spokeswoman Erin Mellon said in an email that officials will consider auditors' recommendations, but the audit validates the exhaustive work the department has done to propose the best project for California. Assemblywoman Susan Talamantes Eggman, a Stockton Democrat and one of the legislative opponents of the tunnels who sought the audit, said it shows that after 11 years of planning there still are more questions than answers about whether the project is feasible. The department released a draft economic analysis of the massive project last year. Auditors said, however, that a final analysis is critical in determining whether water contractors are willing and able to pay for the construction. Department officials said a final analysis is premature until it is known which water agencies will help pay for the project. Last month, the board of the giant Westlands Water District voted to end its participation in the project. Project backers noted that other water districts have since voted to back the project. They say the tunnels are vital to skirt the vulnerable Sacramento-San Joaquin River Delta and protect imperiled fish and water deliveries.